You could call it fatal attraction. Drawn by artificial lights in our brightening night-time world, animals find their lives in peril. 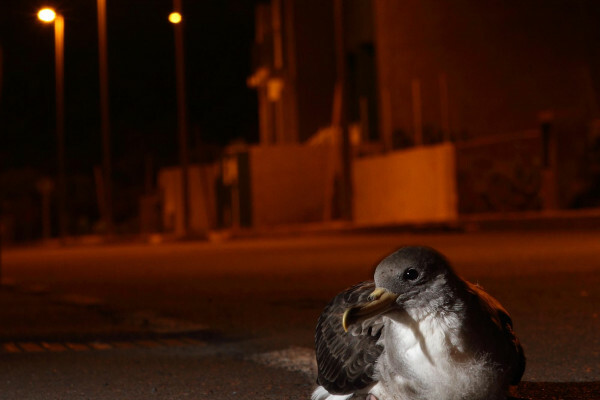 Fledgling birds disorientated by lights can collide with human structures on the ground and then get hit by cars, or become more vulnerable to predation, starvation or dehydration. Or newly hatched turtles may set out in the opposite direction to the sea, exposing themselves to similar dangers. And our skies are getting brighter. A recent study found that our planet’s artificially lit outdoor area grew by about 2% each year between 2012 and 2016, while already lit areas brightened at the same rate. Researchers say one big problem has been a lack of awareness about light pollution. That is growing, but in the meantime, certain factors are potentially heightening its impact. For example, white light-emitting diodes (LEDs) have been swiftly replacing traditional outdoor lighting such as yellow sodium street lights because of their higher energy efficiency. But because they emit light across a broad part of the visible spectrum, LEDs can affect a wider range of photosensitive cells in different organisms. In a project called ECOLIGHTS FOR SEABIRDS, which ran from 2014 to the end of 2016, researchers found that the threat to fledgling shearwaters of being grounded on Phillip Island in south-eastern Australia was higher from broader-spectra metal halide and LED lights than from sodium lights. This suggests that using certain types of lights in different areas could be used to limit the effects on these birds. Separate studies on the Spanish island of Tenerife found that half of the Cory’s shearwater fledglings grounded around lights were within 3 kilometres of their nest sites and tended to be from inland colonies. Dr Airam Rodríguez, a postdoctoral researcher at Doñana Biological Station in Seville, Spain, who worked on the project, said that knowing such information makes it easier to do things such as arrange safe corridors between breeding colonies and the ocean. Many effects of light pollution on such seabirds have been poorly understood before, because of factors such as their breeding in remote locations and the fact they need to be tracked at night. Advances in technology are helping though, with the team using miniature GPS trackers and nocturnal high-resolution satellite imagery to follow the birds’ routes. Dr Rodríguez said his team is now using GPS to look in more detail at what happens to birds rescued after being grounded by lights during their first days out on the ocean. He would also like to look more into the physiology of their eyes to find out which wavelengths the birds are more sensitive to. Another little-known facet has been how much artificial lighting affects whole communities of organisms rather than just individual species, but recent research shows the effects can be significant. As part of a project called ECOLIGHT, which finished last year, researchers set up 54 outdoor experimental environments, known as mesocosms, at the University of Exeter. These took the form of mesh-covered containers that held different combinations of plants, invertebrates and types of lighting, or were unlit. From this, they discovered that lighting seemed to suppress the flowering of the trefoil Lotus pedunculatus, and, in turn, the pea aphid population that feeds on them. The team found similar effects in an experiment with bean plants and aphids. He also pointed to other research showing that bud burst in trees can happen a week earlier in the brightest compared with the darkest areas. ‘When we’ve discovered these kinds of things for climate change and they’ve shifted by about a week, we’ve said that’s profoundly worrying,’ he said. His team is now looking more into the impacts of different intensities and colours of lights to build a more detailed picture. In addition, they are scouring through images of Earth photographed by astronauts on the International Space Station so they can map how the colours of lights are changing as cities introduce more white LEDs. Prof. Gaston explained that satellites are effectively colour-blind to the shift to white light, so using the pictures that astronauts take is a good way to track this, with about half a million pictures taken at night between 2003 and 2015. This work complements the Cities at Night project, a citizen science initiative that gets help from volunteers to classify, locate and georeference these pictures. Also involved in Cities at Night is the STARS4ALL project, coordinated by Oscar Corcho, a professor at the Universidad Politécnica de Madrid in Spain, which acts as a platform to raise awareness of the issues involved in light pollution and inspire further research and better planning in lighting programmes. It seeks to engage people through methods such as games, broadcasting of astronomical events and a citizen-sensor network of low-cost photometers for people to measure light pollution in their area. Prof. Corcho said that one of STARS4ALL’s main aims this year is to run a petition on its website to ask for more overarching regulation to avoid light pollution at an EU level. STARS4ALL will collect signatures from citizens and hopes to present the petition in Brussels by the end of the year. He says the good news is that there are easy fixes. ‘There are good technology options. For instance, there are types of lamps that could be used that are both respectful to the environment in terms of light pollution and at the same time as energy-efficient as white LEDs.’ He cites PC amber LEDs, for example. If we move to solve these issues, there might well be an added bonus for us all. ‘As an indirect result… our recommendations for public lighting may result in having more populated places where we can see more and more stars in our sky,’ said Prof. Corcho.